PLEASE NOTE THAT WE SHALL NO LONGER BE RUNNING THE APPLICANTS WORKSHOP. Instead, we would like to offer 1-2-1 sessions with Ian Hill, the National Contact Point, from 10am until 1pm. These are open to both Stage 2 applicants and to anyone who has a project idea they wish to develop. If this is of interest to you, please contact Fiona.Watson@scotent.co.uk. Scotland Europa, in collaboration with the Department of Communities and Local Government (DCLG) and Scottish Government, is hosting a North Sea Programme applicants’ workshop in Dundee, on 1 December 2016 from 10.30am until 1pm, with 1-2-1 surgeries from 1.30 until 4.30. This workshop, led by Ian Hill NCP for the North Sea Programme, is specifically for Scottish organisations who are either lead partners or partners in recently approved Expressions of Interest and now going forward to Stage 2 for submission by the deadline of 1 February 2017. However, this will also be open to stakeholders who have a specific interest in submitting project applications to future calls. Note this is not a general awareness event. 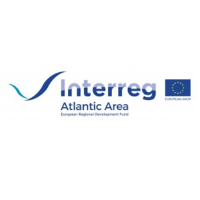 The main workshop will consist of a brief overview of the North Sea programme, feedback from Call 2 Stage 1, an update on Brexit implications, how to develop your application, what to expect from Lead Partners and a presentation of the IT application system. In the afternoon, from 1.30 until 4pm, Ian will hold 45-minute surgeries.